Why hunting deer became just target practice. I hunt mostly in the Eastern Panhandle of WV on the Blue Ridge Mt. and deer used to be behind every tree for many years. Not so anymore and not sure if the poor mast of the last few years, or if coyotes or bears have slimmed down the numbers. I bowhunted this fall on average of 5+ hours per day (morning and evening sets) for maybe 15 days and only saw 9 deer of which 1 was a buck. Numbers have decreased each of the last few years. 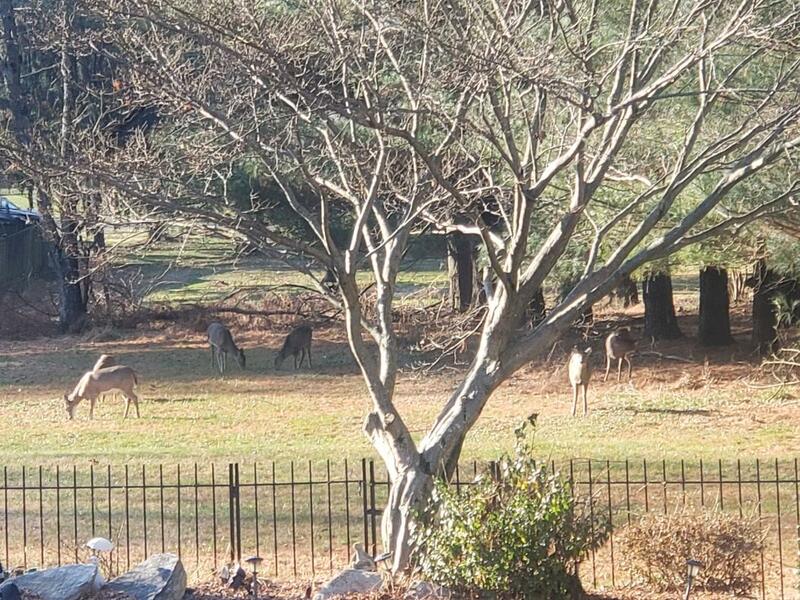 My yard and neighbor's amounted to 5 acres of grass and back when the numbers were up we'd see them as your picture shows. Often there would be as high as 50 deer feeding in the evenings. Too many is bad but not enough is worse. Well, it's got less populated over the years. That picture would normally have 18 to 24 in it. They've been using snipers at night to reduce the population. They claim they're not shooting and bucks. Not believing that one.